A new murder case with ties to a convicted serial killer leads Detective Ellie Hatcher into a twisting investigation with explosive and deadly results in this superb mystery from the “terrific web spinner” (Entertainment Weekly) Alafair Burke. When psychotherapist Helen Brunswick is murdered in her Park Slope office, the entire city suspects her estranged husband—until the District Attorney’s office receives an anonymous letter. The letter’s author knows a chilling detail that police have kept secret: the victim’s bones were broken after she was killed. Her injuries were eerily similar to the signature used twenty years earlier by Anthony Amaro, a serial killer serving a life sentence for his crimes. Now, Amaro is asking to be released from prison, arguing that he was wrongly convicted, and that the true killer is still on the loose. NYPD Detectives Ellie Hatcher and JJ Rogan are tapped as the “fresh look” team to reassess the original investigation that led to Amaro’s conviction. The case pits them against both their fellow officers and a hard-charging celebrity defense lawyer with a young associate named Carrie Blank, whose older sister was one of Amaro’s victims. As the NYPD and Amaro’s lawyers search for certainty among conflicting evidence, their investigations take them back to Carrie’s hometown, where secrets buried long ago lead to a brutal attack—one that makes it terrifyingly clear that someone has gotten too close to the truth. 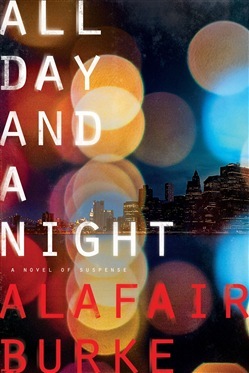 Acquista All Day and a Night in Epub: dopo aver letto l’ebook All Day and a Night di Alafair Burke ti invitiamo a lasciarci una Recensione qui sotto: sarà utile agli utenti che non abbiano ancora letto questo libro e che vogliano avere delle opinioni altrui. L’opinione su di un libro è molto soggettiva e per questo leggere eventuali recensioni negative non ci dovrà frenare dall’acquisto, anzi dovrà spingerci ad acquistare il libro in fretta per poter dire la nostra ed eventualmente smentire quanto commentato da altri, contribuendo ad arricchire più possibile i commenti e dare sempre più spunti di confronto al pubblico online.